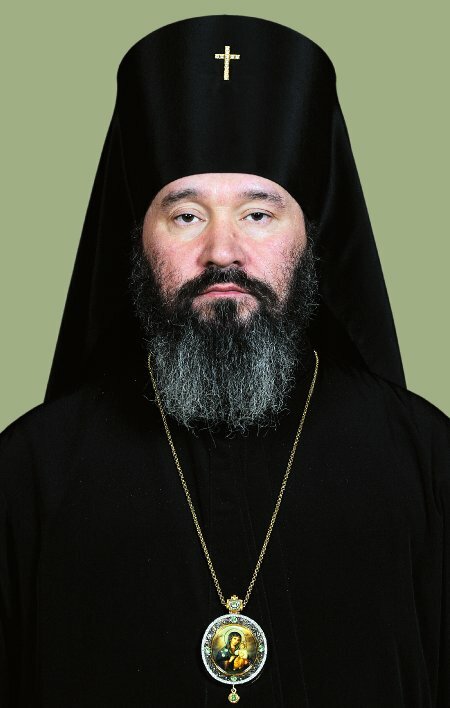 With great sorrow, I received news of the repose of our dear and beloved Mitred Archpriest Vincent Saverino, rector of the St. Michael the Archangel Church in Philadelphia. I express my sincere condolences to Your Grace, the family, relatives, parishioners and all those who knew this kind and faithful shepherd. I wish all of you courage and strength to endure the grief that has befallen us. The departure to eternity this remarkable man, with whom I was fortunate enough to interact, is undoubtedly an unbearable loss for us, who met him during his life’s journey. Archpriest Vincent belonged to a senior generation of priests, who had a difficult time in their pastoral ministry. However, after receiving Holy Orders, he did his utmost to serve the Church of Christ, tried to resignedly bear numerous difficulties and sorrows, bearing in mind the Savior's words: " ye shall weep and lament, but the world shall rejoice: and ye shall be sorrowful, but your sorrow shall be turned into joy. " (John 16:20). As an example of a good Christian and a true pastor, good-natured and peace-loving, Father Vincent inspired everyone who came to him with the hope of God’s providence. Through strong pastoral words, prayer, fatherly advice and good instruction, this laborer of the Lord’s altar attracted young and elderly people alike to the Church, strengthened believers, and persuaded doubters. During his many years of pastoral ministry, Father Vincent won the love and deep respect of his parishioners, who will always remember their priest as a kind, wise, compassionate shepherd. During the final years of his life, Father Vincent was seriously ill, but even in his weakness he remained for all who knew him, an example of bearing sorrow courageously and complete hope in the mercy of the Lord. 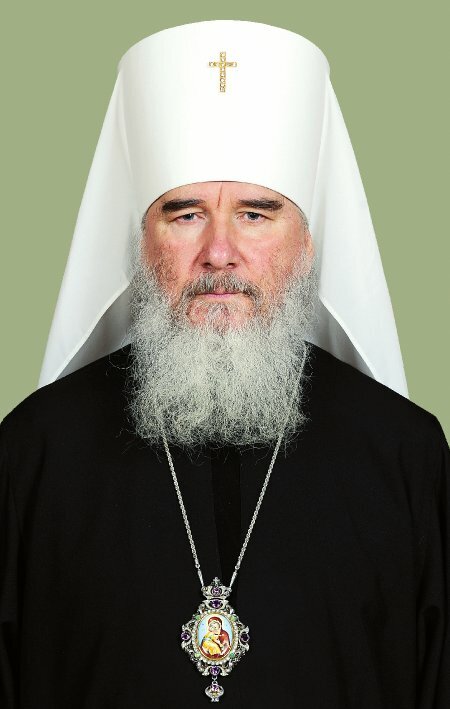 I share with you the pain of loss, I offer my prayers to the All-Good God for the repose of the newly-departed Archpriest Vincent "in a place of brightness, a place of repose” and grant him memory eternal. Please extend to Matushka Saverino, the children, relatives and parishioners of St. Michael the Archangel Church in Philadelphia, my most heartfelt and sincere condolonces with the repose of Fr. Vincent. For the entire eight years that I spent in the United States of America, Fr. Vincent was for me a reliable help, a good advisor, a sincere concelebrant in prayer. I always came to St. Michael Church in Philadelphia with great elation. I always joyously met and served with Fr. Vincent. He remains in my memory a kind shepherd who responded to all the requests of believers. He was a wonderful father and head of his family. I saw how they loved him in hisfamily and in the parish. As a good pastor and father, he will remain in my heart for ever. I pray to the Lord and ask the Savior of the world, to grant repose to the soul of the newly-reposed Archpriest Vincent in the mansions of the righteous. May God grant him the Kingdom of Heaven! With deep sorrow, I received news of the repsoe of Father Vincent. There are people, who, regardless of distances or boundaries, seem to always be with you. Adding to the number of such kind, generous souls of people is the newly-reposed Fr. Vincent. Let us also pray for his immortal soul, endowing it with our prayers, warming it with our fond memories. 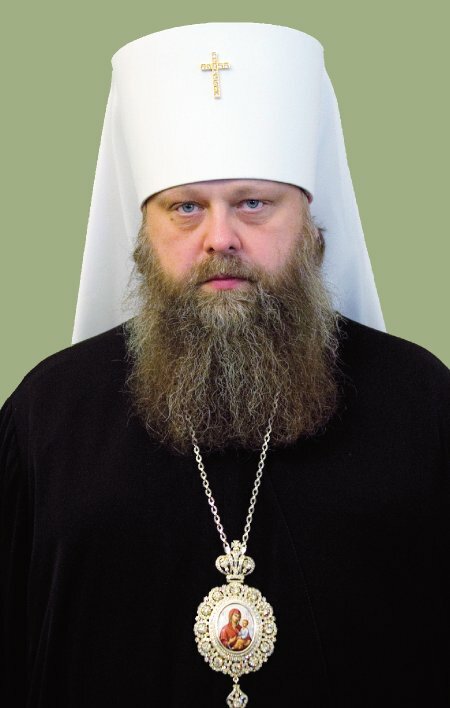 May our Lord establish our brother Archpriest Vincent in the mansions of the righteous. To your prayers, my dear ones, I add my own. During his earthly life every man has to face some challenges as part of God’s will, examinations, as it were, in the school of life. Every age has its own difficulties each one of us has to overcome. We cannot grow or mature without them. Only hard work makes it possible be saved, to draw nearer to God, and to inherit the Kingdom of God. I ended up meeting the late Archpriest Vincent when his advanced age and physical infirmities were revealing themselves more and more often. 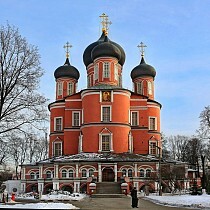 This complicated his life and made it increasingly difficult to perform his priestly duties. He was passing through the temptations of old age and infirmity. However, Fr. Vincent’s heart and soul remained young and I always rejoiced in our interaction. When I first arrived, I could feel that he was a bit worried about how well I would fit into my new life and into the life of the Patriarchal Parishes in the USA. I was happy to see that he soon joyfully accepted me not only as his ruling bishop, but also as a person he could have a warm and open relationship with. Fr. Vincent passed through the trials of old age and illnesses worthily; he always strove to be patient and showed Christian love to everyone as he continued to serve actively in Christ’s Church. Today I would like to express my sincerest condolences to all the clergy of the Patriarchal Parishes, as well as to his family and friends. 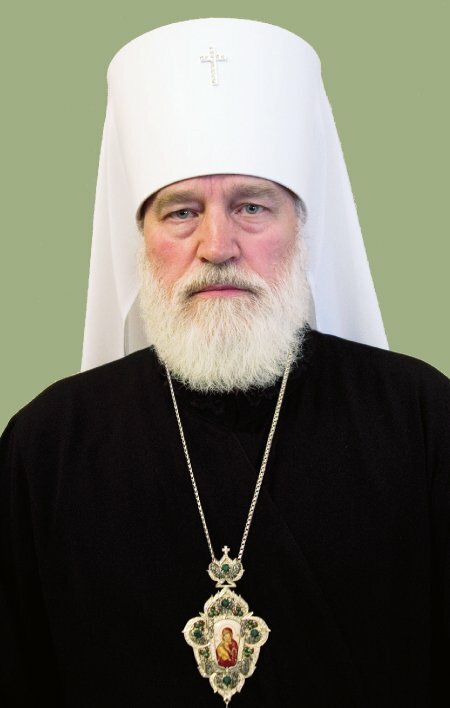 I pray together with you for the repose of the newly-departed servant of God, Archpriest Vincent. That he will pass worthily, as he had through life, along the paths of the next world and through the final exam at the Throne of the Eternal Judge, our Lord, and be speedily granted entry to the Kingdom of Heaven.